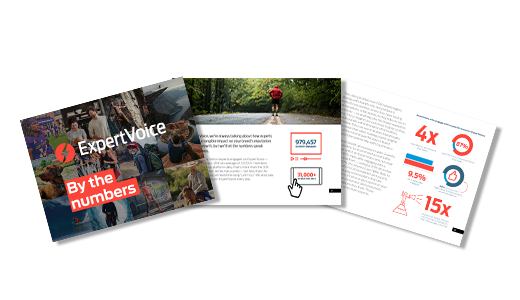 With more than 1 million members ranging from retail sales associates to category pros — people we call experts — ExpertVoice is the world’s largest advocacy marketing platform. These experts are the people consumers trust to make authentic product recommendations. Their passion, experience, and knowledge are what set them apart from the rest, and their recommendations are changing the way people buy products.